Snapchat Tuesday introduced a solution for users who had been looking for Lenses in all the wrong places. Since Snapchat unveiled its Lens Studio last December, more than 100,000 unique Lenses have been submitted, and those Lenses have been viewed on the messaging application more than 2.5 billion times. Snapchat made Lenses available in September 2015, and more than 70 million people use the feature every day, for an average of three minutes per day. 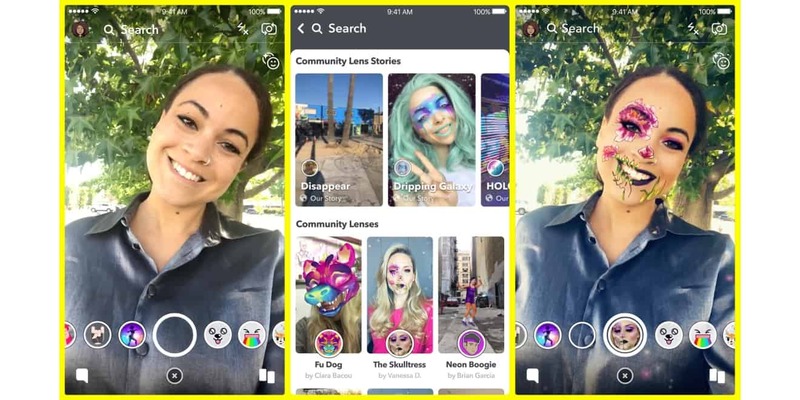 Lens Explorer, which will begin rolling out to iOS users Tuesday, will make community Lenses discoverable alongside Snapchat’s main Lens Carousel for the first time, and users can also browse for Lenses within search on Snapchat. Users with access to Lens Explorer can tap on the new smiley face icon that appears when Lens Carousel is active, and then tap a Lens tile to unlock a Lens and be taken directly to the Snap Camera, or they can browse through featured Our Stories and unlock Lenses by swiping up on Snaps in those Stories.